As a track and field athlete at South Dakota State University, Dr. Justin’s body got banged around a lot. The athletic training department at the college did a good job at keeping the athlete’s bodies healthy, but it wasn’t until he started seeing a chiropractor that he really understood the importance and potential outcomes of proper spinal alignment and biomechanics. Chiropractic was an integral part of many accomplishments Dr. Justin achieved, including 2 school records and All-American status in college track and field. Now as a practicing chiropractor Dr. Justin clearly sees the nearly endless benefits that chiropractic provides for people of all ages: infants, children, teens, and adults. Dr. Justin received his undergraduate degree from South Dakota State University in Biology and Chemistry and then attended Northwestern College of Chiropractic here in Bloomington, MN where he graduated with honors. 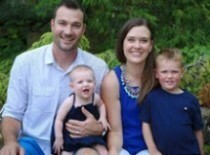 Dr. Justin’s free time is spent enjoying the outdoors with his wife Traci, son Sam, and daughter Quinn. Fly fishing is at the top of the list for favorite activities closely followed by the ever-maddening game of golf. 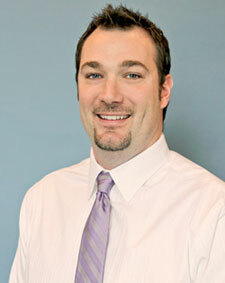 Chiropractic has been fundamental to Dr. Justin as the cornerstone to maintain a healthy and active lifestyle. It can be your cornerstone as well!! Call and schedule an appointment at our Robbinsdale chiropractic office today!